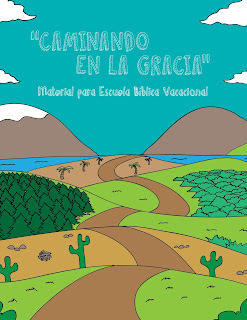 "Walking in the Grace" (Caminando en la gracia) is the name of the Vacation Bible School (VBS) material that the churches of IELCO will be using this year. This has been a project that the education team at IELCO, along with other volunteers in the church, has been working on for over 6 months now. With VBS just around the corner - the material is ready! On Saturday we had a presentation of the material for several teachers, including at least one from each of the four regions of IELCO. 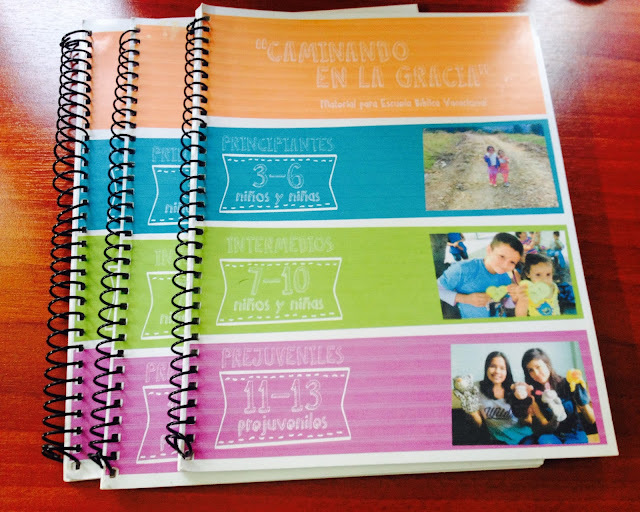 This material was made by IELCO, from a grant from Capacitando al Pueblo de Dios, which is part of the ELCA, coordinated by another ELCA missionary in Latin America, Kari Eller. We shared with the teachers what he methodology used to prepare the material was, what each of the lessons is about, and general tips for a successful VBS. 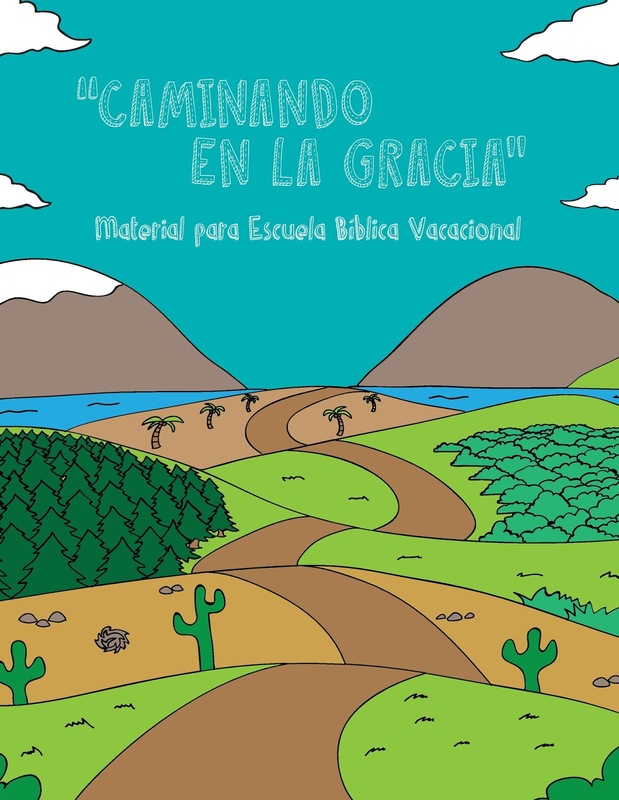 As the Lutherans around the world are gearing up for the 500 Year Celebration of the Reformation, in 2017, one of the goals of this material is to educate the children in VBS about what it means to be Lutheran and to follow Jesus, specifically in Colombia. The material has 5 lessons: Walking with Jesus, The Journey/Paths of the First Christians, Luther, Journey of the First Missionaries, and The Footprints of Jesus Today. One of the young men in the IELCO offices, Sergio, did all the drawings for the book. Above is one of the drawings. He drew them all to relate to each lesson, and all in the same style to help unify to book. He has incredible talent.